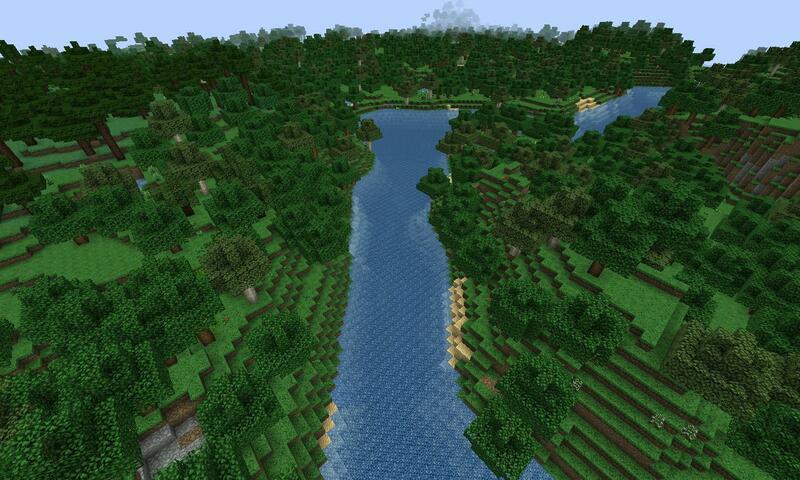 Well, after traveling across the United States and witnessing some of the biggest rivers in the world, I thought it would be a good idea to put that in Minecraft where I could at least kind of imagine similar place to that. Since I play with Tinkerer's Construct a bit, it makes finding clay rather challenging. Big spikes in the ocean for no reason (still WIP but I'll figure it out someday), and I've tried three test maps each with slightly variated codes to get a better effect. 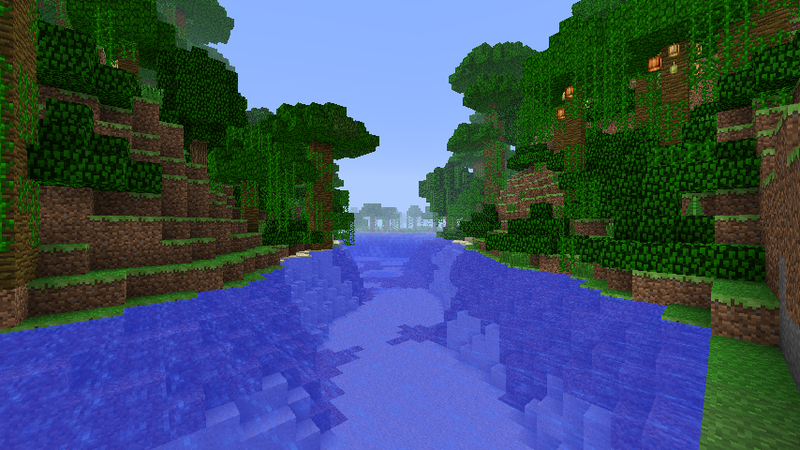 Texture pack used: AD Reforged by TheVoid. I take no credit for it other than that this guy made an awesome pack! If you use this code in a let's play, please credit me for using this worldgen. To encourage discussion, talk about a river you visited IRL and why you enjoy seeing it or outdoor activities. 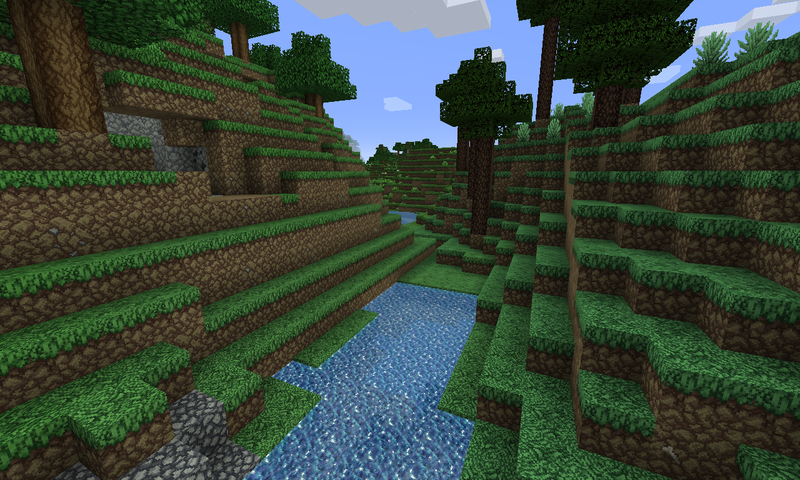 The reason why rivers dry up is because of the way the game smooths the height differences between biomes (here is a screenshot where I disabled the smoothing; the odd square edges are due to the fact that the game only samples noise every 4 blocks for performance reasons, and are still visible to an extent after smoothing; I did not disable the interpolation so they are not sheer (1 block transition) cliffs) and also because there is variation in the base height level which produces height variation even when biome scale weight is zero (as seen here). 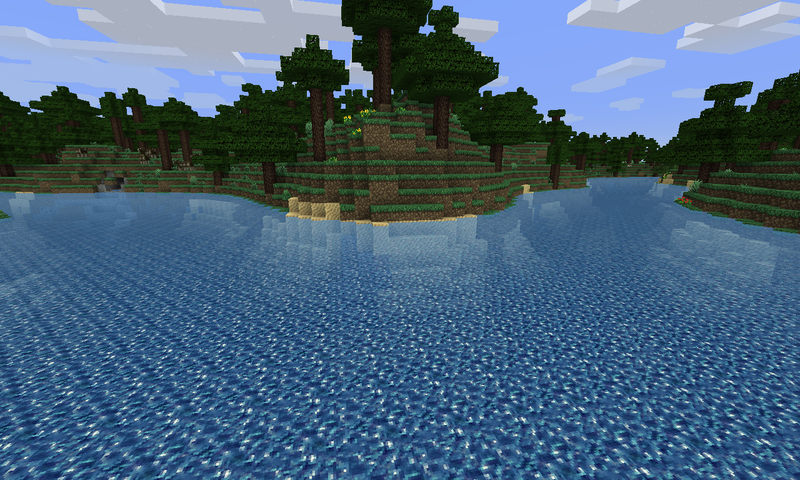 I've fixed this issue in a mod by modifying the way the game calculates the height of terrain for rivers, as well as beaches (beach generation is another common complaint); my changes do not affect anything else (sea level or other biomes) but for rivers at least it wouldn't be very easy to apply to vanilla, at least not Customized (one thing I did was increase the depth of rivers so they are nearly as deep as oceans, but prevented them from getting more than 7 blocks deep, the average maximum depth in vanilla. 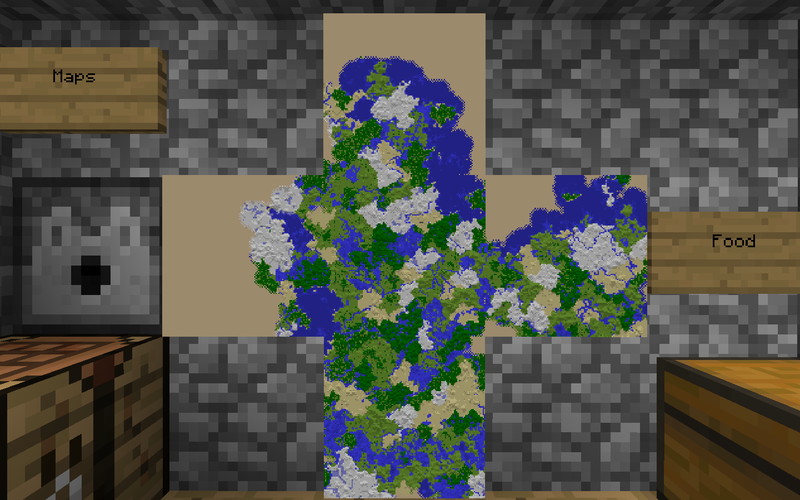 This was done by making the ground generate as solid stone (prior to adding dirt, grass, etc) up to y=55 in all biomes except for oceans, and adding post-generation smoothing to avoid vertical cliffs between oceans and rivers. 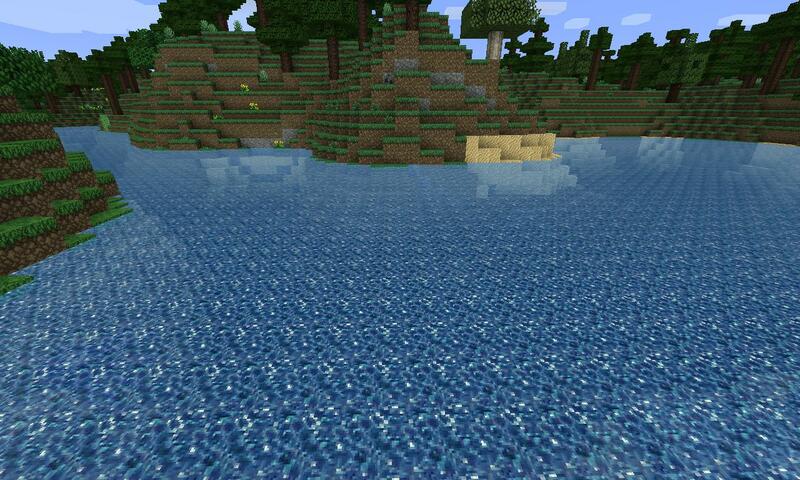 Since oceans can get much deeper in 1.7 (the mod is for 1.6.4) even without customization it would present issues with the smoothing method I use). ETA: The spikes in oceans are caused by another bug, which occurs when biome depth weight is greater than about 1.11 and is due to a sign reversal in the result of a calculation which is not designed to deal with values less than -2 (the base height of deep oceans is set to -1.8; -1.8 * 1.111... = -2. Regular oceans would begin to show the same thing at 2 and rivers 4, reflecting their base depths of -1 and -0.5). 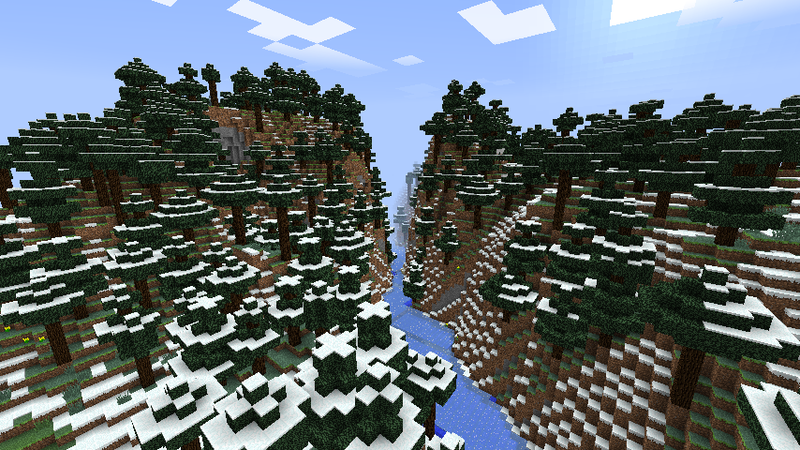 An easy fix for that would be to clamp the product of biome depth weight and base height to -2, which would not cause any other differences to terrain generation since it normally never gets that low. Sadly, they marked the relevant bug report as "WAI"; while spikes might be "intended" in some cases it makes most of the range of the setting useless if you do not want them (it ranges from 1 to 20). That's so awesome, I'm going to try that out. 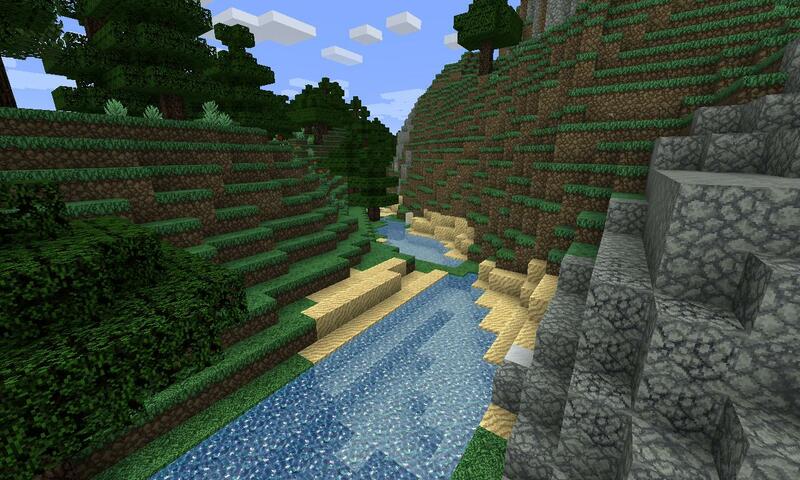 Do you think you could develop that for 1.10.2? I really gotta get in on this; for some reason I never even thought about doing anything with the river size slider. 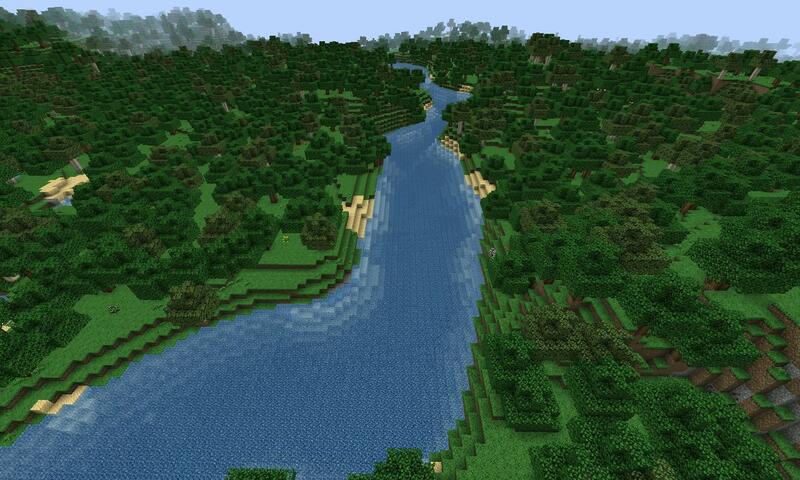 The river size option is misnamed; it does not actually change the size of rivers but rather changes the "river border" map; in other words, rivers are generated along "boundaries" similar to biome borders and the default "size" of 4 corresponds to an average spacing between rivers (as well as biomes when used for biome size) of 256 blocks; increasing the size to 5 increases this to 512 blocks. 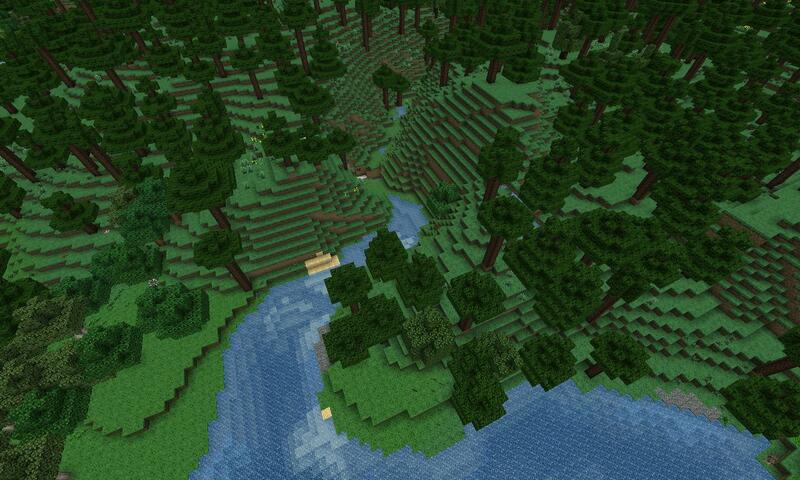 Prior to 1.8 Large Biomes used a river size of 6, which can only be obtained in 1.8 by manually editing the Customized preset since the slider only goes up to 5 (this was likely lost when they converted a single variable that was used for both biome and river size to two so they could be independently adjusted; there must be some other reason why the size was limited to 5 even though larger sizes work perfectly fine). Right, the reason they're bigger is because I increase the Biome Depth weight which actually makes a problem for like he said in the post before, about ocean spikes which can be adjusted. 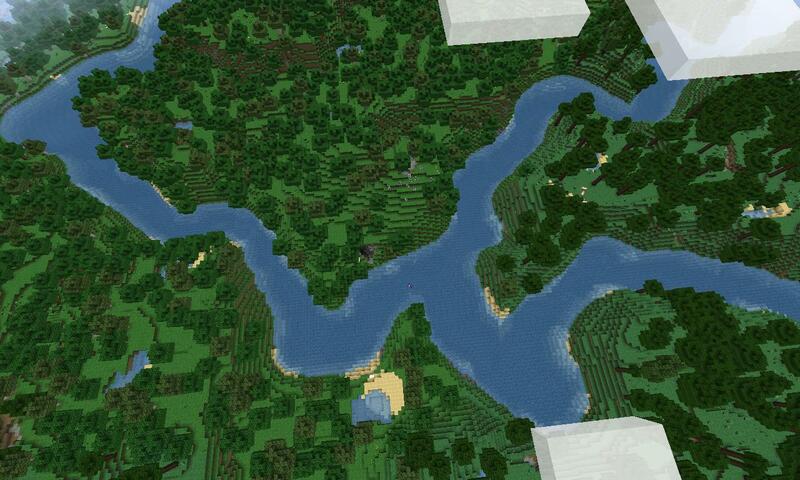 Now, for the final version, with a Journeymap image to follow a river to the ocean. Unfortunately the image is over 20MB in size, as it covers about 40,000 Sq. Blocks so I'm going to have to find another way to show you guys. Here's a link to the image. Not sure if the forum will put something up that large. That's how rivers should be. 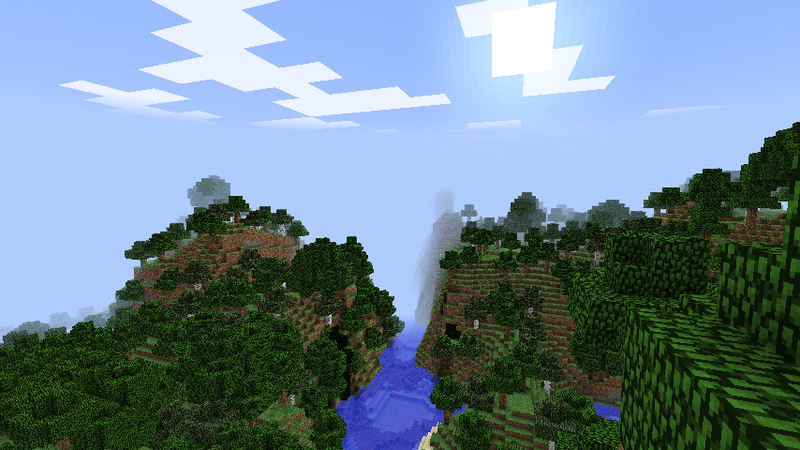 But just imagine ever finding more than one biome in such a world - there is a reason why biomes and landmasses are so small in Minecraft (even the "continents" in 1.6.4, which can be 10-20,000 blocks across and perhaps half of that area is land for an area of 50-200 square kilometers, are just small islands IRL, where the largest island, Greenland, is over 2 million square kilometers. This Wikipedia page doesn't even include any islands below 500 sq km). 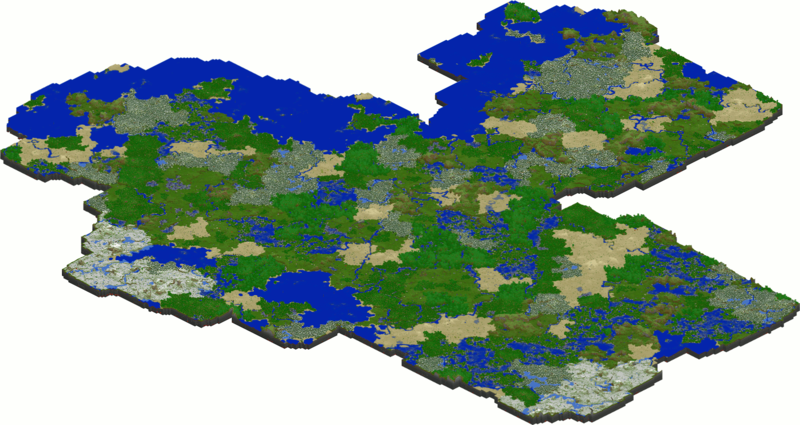 I think my world is big but it is only 6,000 blocks across as its widest, or about 3,000 blocks from spawn - and it takes around 15 minutes round-trip to travel to and from my furthest bases by railway, which is 3/4 of a Minecraft day or 18 hours IRL - in which you could drive or fly hundreds to thousands of times the distance (we would definitely need cars and planes in Minecraft if the scale of world generation was realistic. Even accounting for the Nether's 8:1 scale doesn't come close to IRL transportation speeds). Even IRL cave systems are FAR larger than the caves in 1.6.4 and older versions - imagine exploring a cave system 651.8 km long in Minecraft, which would require an average of 4,345 individual Minecraft caves, and even the largest cave system that I've found only had 229 caves, with a much lower effective length due to overlapping caves. 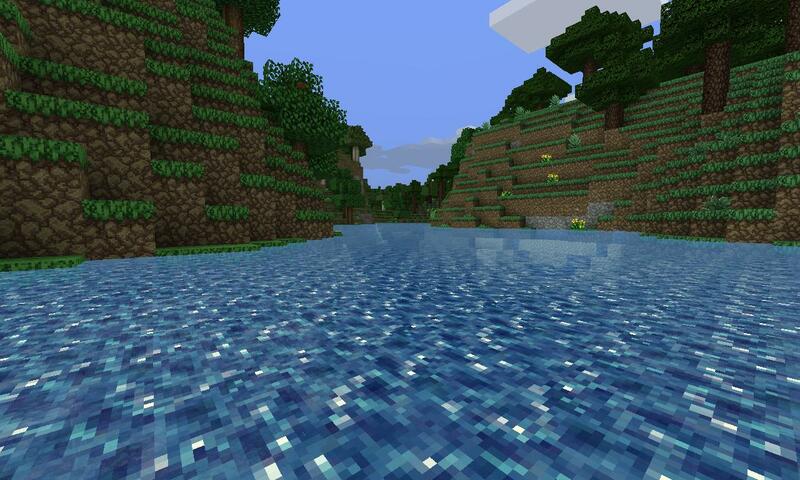 Not only that, it covers an area of about 213.8 square kilometers, or about 51 level 4 maps while Minecraft cave systems are rarely more than 200x200 blocks in area (0.04 sq km). Yeah this much is true, but I like the fact that I'm landlocked somewhat. It would take a long while, but take it from a guy who has walked across America several times, I know all about these great distances. 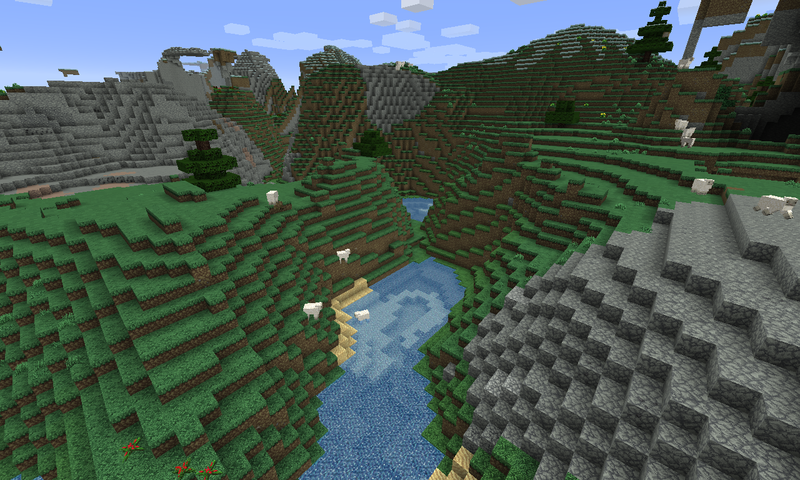 Yeah rivers go on long ways, but the main point was to make them not break up between biomes, and now someone made the Realistic Terrain Mod which looks amazing. ah well, its been a fun experiment, maybe I should find a mod that adds flight, however it would take forever for chunks to load up even with a decent computer, so I guess there is a hard limit as to what you can do, or a craftable item that allows one /tp command. BTW, Impressive world. I've switched computers a lot so I hardly get to keep up. Yes, I did. I just wanted to experiment by editing the raw preset code and repasting in to see what happens. But think about real life, a drive from Texas to the Mississippi river is about 3 1/2 hours if you travel down I-10, so while its not quite that far, it keeps the land from being broken up so much, meaning they're more of a reward than anything.